As a professional, qualified Makeup Artist specialising in weddings, events and photo shoots across Western Australia. I have exceptional attention to detail and a commitment to creating flawless, sophisticated and glamorous makeup. I only use the very best! The makeup products I use on each client are world renowned and personalized. I only use luxury makeup brands like Hourglass, Nars, Ellis faas, Terry and MAC . I love to hear all about your plans for the upcoming event – it gives me a picture of your vision for your special day so I can create your individual look. I base my makeup choices on what suits your facial features and dress style. For example, your face shape, skin type, eye colour, age and dress are all taken into consideration. I want you to look and feel your best. Let’s talk about your Wedding Day! Having used Melody's services for many other occasions in the past when it came to my wedding she was my number one choice. Her ability to balance my wishes and preferred look with her expert knowledge and recommendations was outstanding. Melody was sensitive to my imperfections and made me feel beautiful. My make up lasted the entirety of the day and night without any touch ups and came up perfectly in all the photos. Melody is a true artist, a professional and a delight! I highly recommended her, not only for weddings but for all occasions. Melody did my make up for an event and I can't wait to have another reason for her to do it again! She really took on board what I had asked for and has such attention to detail. My makeup looked and felt very natural but flawless at the same time, and stayed on throughout the evening perfectly! 5 Stars !!! Melody you have such an amazing talent !!! Mel’s makeup skills are amazing and her company is equally as great, I’d recommend her to anyone! Mel is a very detail orientated artist, who is always so intelligent about what suits an individual - the tone, the look, the focus. Mel has worked with a range of people, faces and functions. She's had experience with both photo shoots and events, and has a wide range of products for every skin tone. She is both creative and tradition and she listens to what people prefer and she makes every look special. Would recommend Mel completely, I have absolute trust in her. Melody's work is gorgeous! My daughter doesn't wear much makeup, and wanted a very natural look for her school ball. Melody listened to what she wanted and the end result was beautiful! Her communication and punctuality is of a high standard and her professionalism is exceptional. I will be recommending her to anyone who needs a makeup artist! She not only listens to her client, but also delivers a high standard of excellence! Thank you Melody, you were an absolute delight to deal with, and my daughter loved her makeup! Melody did my bridal makeup and I absolutely loved it!! She listened to absolutely everything I wanted. It was better than I was hoping.. She covered every imperfection perfectly and made it look flawless. Would definitely recommend!! Melody is the most amazing make up artist, she knows exactly what she is doing and is such a lovely gal she is so much fun to work with - never a dull moment. I had a wonderful experience with Melody, she is so talented and caring and listens to exactly what you have in mind for your make-up. Would 100% recommend to anyone. I loved the makeup Melody did on me for the Cancer No Bueno Ball. It was something I would never try myself/ or could never even contemplate doing myself. After so many bad experiences with past makeup artists, I am never going back to anyone else, as Melody is a true artist and professional, somebody who puts so much time and effort into her work. Melody is the only person I trust to do my makeup for events. After trying a number of other makeup counters, I have realised that Melody is the best in business. Her knowledge of her products, and willingness to take on board your ideas is fantastic. Melody has continuously done my makeup for events for the last 4 years. I don't trust anyone else now, She's always willing to listen to your ideas, and will suggest new ideas to try. She is a true artist. Melody is a true professional. After a disastrous trial with my original make-up artist and needing to find a new one with 6 weeks to go before the wedding, Melody responded promptly to my pleas for help, booked in a trial within a week and LISTENED! She listened and sought feedback throughout my trial to create my perfect look. She used quality products, was efficient, kept to time, and had fun with us on the day. I highly recommend Melody for her outstanding work. I don't think myself and my bridesmaids have ever looked more beautiful thanks to Melody. My makeup was absolutely flawless. Melody managed to squeeze in 4 Bridesmaids, 1 Bride, 2 Sisters and 1 Mother. Each of us were blown away with what she was able to do. She was also such a calming, fun presence on the day. I recommend her highly. Absolutely outstanding service! 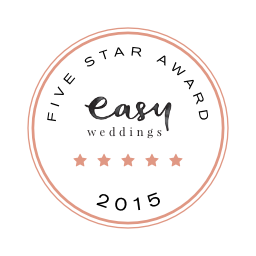 I cannot thank Melody enough for being so friendly, helpful and professional in the lead up to and on my wedding day. Not to mention the AMAZING job she did with my makeup! Using only the best products available, but all for a very reasonable price! Melody, where do I begin?! She did a fantastic job at my trial and even offered a free eye and lip session just to ensure we had the right look. She had myself, 6 bridesmaids and 2 flower girls to get through on the day and did it with ease. Everyone looked flawless even thought she was with us for 6.5 hours on 7 girls with completely different complexions and features! I didn't have an exact look I wanted for my bridesmaids and she was able to come up with something herself and it was perfect. Our makeup looked exactly the same at the end of the reception and everyone commented on how stunning it was. It looks amazing in the photos people took on the day so I can't wait for my professional ones. Melody was so friendly, fun and professional in every aspect and I will be using her for every event from now on and I cannot recommend her highly enough. Melody is an outstanding makeup artist. Prior to my wedding both my Mom and I had a trial - Melody was patient, meticulous and we saw amazing results. She communicated with us frequently before the wedding, checking details and ideas. On the wedding day she was a calming influence for all of us. She created makeup looks that suited each of the party and managed difficult skin tones and requests with ease. Our makeup stayed flawless all day! I would highly recommend Melody!